Shreeraj Shah (@shreeraj on Twitter) came on this week to give us a run-down of some of the issues with HTML5? How can a new standard actually be worse than something like Flash? And why would a standard not address existing OWASP issues, and even create new issues, like the ability of a browser to have a database inside of it managing everything? This week we discuss HTML5 history, some of the pitfalls, and discuss some of the new technologies found in HTML5 that will create more headaches for agents of infosec. You can find various articles on this topic and issues covered during the session over here. Also, at OWASP we are maintaining HTML5 cheatsheet which you can find it over. 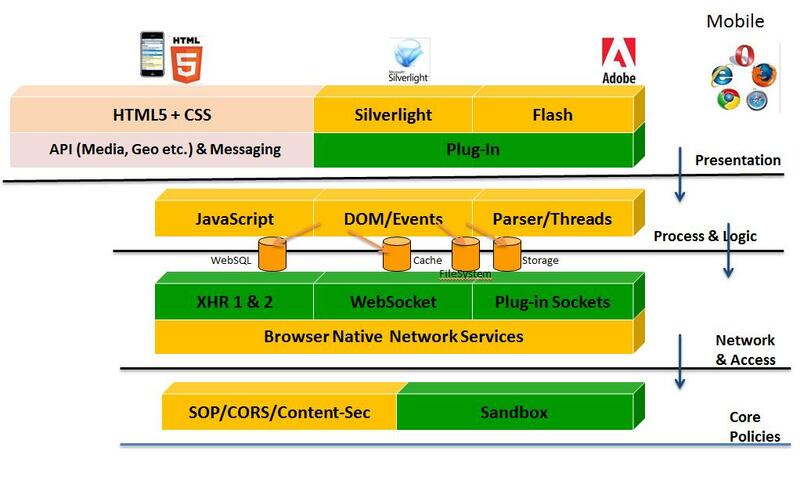 WebSocket is gaining popularity with HTML5 architecture and has wide support from various browsers now. WebSocket allows full duplex communication over TCP as defined in the RFC 6455. Applications need such fast connection with data push coming from servers over polling data time to time. Hence, during our testing we started getting applications running WebSocket. 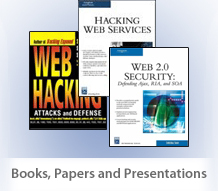 It is imperative to understand the threat model for WebSocket usage and some of the concerns. In this post we try to address this. 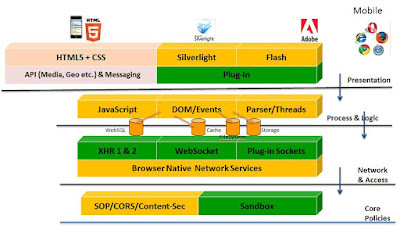 WebSocket has become an integral part of Browser's communication stack as shown below. Following is a simple upgrade call coming from a browser to a HTTP server. Now, if the server is supporting the protocol then it will allow switching by the following response. Once that is done one can go ahead and use methods like onopen(), onmessage(), send() and close(). 3. Real-time updates like financial tickers, sports, tracking, feeds etc. Also, developers are becoming innovative and utilizing JSON, XML etc. over WebSocket. Hence, there is no limit to how and where WebSocket calls can be used. By design, WebSocket protocol doesn’t abide by SOP (Same Origin Policy). Hence, a browser can initiate a cross domain WebSocket call to any domain on the Internet. It is not required for an application to make calls to its own domain only. This can create issues and security threats. It allows an attacker to establish a connection or force any victim’s browser to initiate a connection as well. When WebSocket makes an “upgrade” call over HTTP, it sends “Origin: domain” header in the HTTP request. The browser itself adds this particular header based on its current state of DOM/location. This header cannot be tampered with by script. Hence, to avoid DoS and CSRF type attacks one can validate this header on server side before switching the protocol. Also, it is possible to perform DoS by opening multiple socket connections. One can avoid that by passing a token to the browser before protocol switching. Hence, only if protocol/upgrade switching request comes to the server with that token the server should allow the connection. This will avoid possibility of DoS. A user logs in to the system and establishes a session with proper authentication. User’s browser gets a cookie from the server for that particular application bound to the application domain. This cookie is going to replay in all other requests going from browser to the target domain. Application may establish legitimate WebSocket session as and when needed as shown in step 2 of the figure. Now, an attacker comes into picture and there is a page created with WebSocket calls pointing to the target application domain. 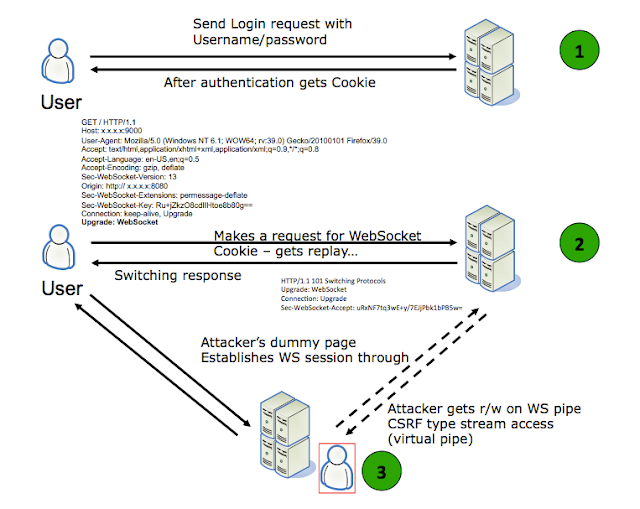 If a user with an established session visits that page, like in traditional CSRF scenario, then he ends up establishing a WebSocket session since the cookie is going to replay. This allows the attacker to have a virtual tunnel created as shown in the figure. It is also important to observe over here that this session is two-way CSRF. In traditional CSRF we just get write/post access but in this case, since WebSocket is not following CORS either, the attacker is also allowed to read incoming stream from server. Hence, he ends up getting both read and write mechanism on stream. This ends up being stream hijacking. Again, for defense one can verify “Origin” and add extra CSRF tokens to validate legitimate users for stream processing. It is also important to know on which tunnel WebSocket is running. One needs to make sure that it is running over SSL channel. If calls are going over a non-SSL channel then it may end up leading to information leakage and other related attack vectors. A WebSocket call fetches new data from a server and dynamically loads things in the existing DOM with various APIs. It is imperative to validate incoming content before loading into DOM and protect against DOM based XSS and other types of variants. Also, it is obvious to protect server side injections and streams going over DOM calls. Burp and ZAP both have capability for evaluating WebSocket calls. Version check for browser and required support. Application level authentication and authorization for sensitive data transfer. The WebSocket protocol is a really good and efficient way for communication in certain scenarios, but at the same time it brings a new set of threats. Hence, developers have to keep security issues in mind during implementation both at server as well as client end. Now a days, there are many applications on the Internet which are using WebSocket heavily. Also frameworks and technologies like Microsoft’s signal.r are based on WebSocket. There are many libraries available for implementation of WebSocket on the server side, but by default they do not check for security issues. Hence, one needs to keep security issues in mind while implementing them and while performing reviews.